Together with sportswear maker Salewa, we have developed sportswear and accessories designed especially for paragliders since 2015. New to the collection are the fleece hoody „Ortles Highloft“ and the tank top „Pedroc Dry Tank“ for girls, the 15-Liter rucksack „Wedge », and the unbreakable „Runner Bottle“. With the fleece hoody „Ortles Highloft“, we make sure that female pilots stay warm and cozy at takeoff. 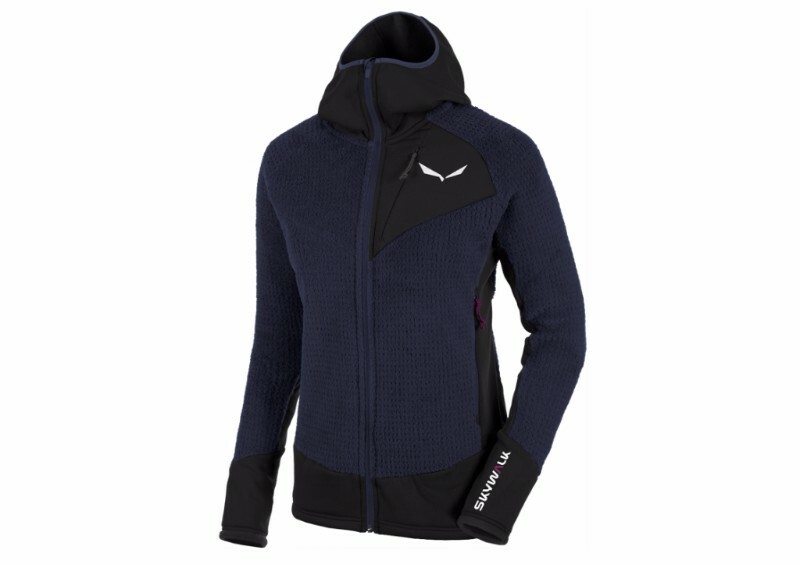 The figure-hugging, slim-cut hoody is suitable for all Alpine adventures and looks super chic. The „Pedroc Dry Tank“ also accentuates the figure and is designed for warm days when women just want to let the sun shine in. This light and airy tank top is versatile and remains odor-free even when things get hot, thanks to its use of “Polygiene” odor control. The wedge-shaped 15-liter rucksack “Wedge” has room for everything that pilots carry with them on a daytrip to the mountains – or to the city. Its ergonomic shape makes it your indispensable companion. The unbreakable „Runner Bottle“ provides a refreshing drink even when it gets turbulent. The bottle has two reliable closure systems to ensure nothing gets tossed overboard. Its capacity of 0.75 l is designed for long XC flights. Contact your dealer or have a look in the webshop!